The SmartPOST delivery module is a very customer-friendly way of distributing parcels to customers. SmartPOST- SmartPOST— the most modern, convenient and affordable way for sending and receiving parcels, keeping them properly protected even in dire weather situations. 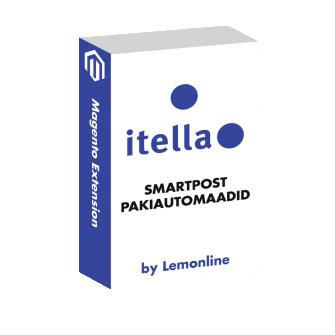 The module developed by our cooperation partner integrates your online shop with SmartPOST’s terminal system for fast and efficient information exchange. As a result, your customers can use the SmartPOST service and choose the most suitable parcel terminal for them to pick up their parcels. What can Itella’s SmartPOST module do for you? The customer can, when finalising his or her purchases in your online shop, choose the SmartPOST parcel terminal where they prefer to pick up their desired parcels, from the drop-down menu. 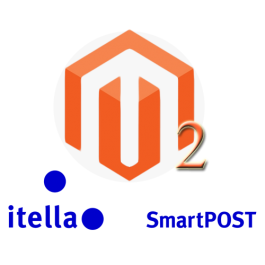 Moreover, the module sends the parcel data to Itella’s server, which then creates a label with the customer’s information that you can handily print out and stick to the package in an instant. And now the parcel is ready to be delivered to the customer. The beginning and duration of the delivery process depends on your arrangements with the customer. The module supports different sizes of parcel terminals, which makes shopping for customers even more convenient. Sizes S, M, L, XL. An option to set handling fees, (or a fixed handling fee, if desired) and the number of items in the shopping cart required for free delivery. Or in other words, an option to offer free delivery at a predetermined amount of money. It is also possible to determine whether to allow/not allow the delivery method for products with the attribute nosmartpost and enter an appropriate error message if, for instance, delivery to a SmartPOST parcel terminal is not available for some products. You can also select ‘Show/Hide the delivery method’ if a product cannot be sent to a particular country. You can set the order number from among other delivery methods. An option to enter the user name, ID and password. An option to choose an appropriate name for the delivery method. Installation is very straightforward and takes just a few minutes. The module does not require contractual relations with Itella (however, if you would like to use the option to transfer data automatically to Itella, you need to create a user account). Your online shop is integrated with the SmartPOST terminal system for the fast and convenient exchange of information. Straightforward and fast installation of the module. Many different and flexible setup options. Automatic creation of parcel labels with customer information, saving you the trouble of handwriting each label. No contract with Itella needed. One-click selection of the delivery method. The possibility to pick their parcels up from the Itella terminal best suited to their needs, without fuss and at affordable prices. Always reliable and updated information about available parcel terminals. The possibility to choose between different sizes of lockers so that they do not need to spend more than necessary. The terminals of Itella’s SmartPOST can be found all over Estonia in places with the highest traffic. Everybody is guaranteed to find the best one for their needs. Customers are thankful that shopping and picking up their (coveted)desired purchases is so easy. *This module has not been developed by Magento. 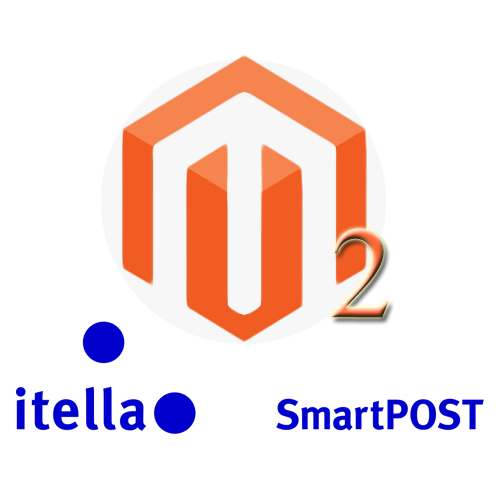 Use of Magento’s logo indicates that the module is designed to be used with Magento and has been developed by our cooperation partner Pipfrog OÜ. IF YOU WANT TO BUY THE MODULE, COMPLETE THE TRANSACTION ON OUR PARTNER’S WEB SITE BY CLICKING THE BOX HERE !